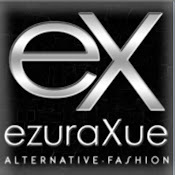 This amazing creations by Ezura Xue, have many wondering about the exquisite,colorful,and well designed sets of clothing,in this page you will see many of her desings. in this case i'm blogging about~~DIGI~~ and ~~ACHA~~ sets. The clothing its fully scripted so you can change the colors of the items to any color your mind can go.!! head attachments,necklace,boots,gloves,pants,different shirts and skirts. take taxi by clicking here. A New addition to the wonderful dress DIGI.